Brevin Hunter was playing a video game when he heard the wail of the emergency sirens Sunday. 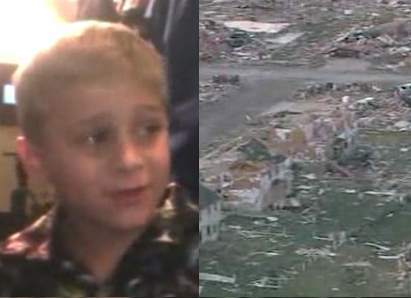 Today Governor Quinn is recognizing the 6-year old boy because his relentless nagging might have saved the lives of his family minutes before a deadly tornado bore down on their home in Washington, Illinois. “There’s no way I would have gone if he hadn’t kept nagging me,” she told reporters from a church, where they sought shelter after their duplex was destroyed.